The Dance is an EP from the Dutch symphonic metal band Within Temptation. The EP consists of 5 tracks immersed in their dark and atmospheric sound. The beautiful vocal parts from Sharon are mixed in the aggressive guitar riffs and drum rolls. Sharon darkens her voice to match the heavy music. “Another Day” is maybe the most dejecting song they ever recorded, but still with an upbringing sound in the vocal parts. From their doom and goth metal in their early years to their later symphonic music, Within Temptation gained recognition both national as international. 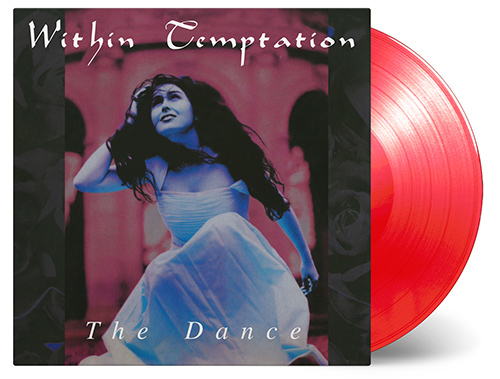 The Dance is available as 3.000 individually numbered copies on transparent red coloured vinyl.